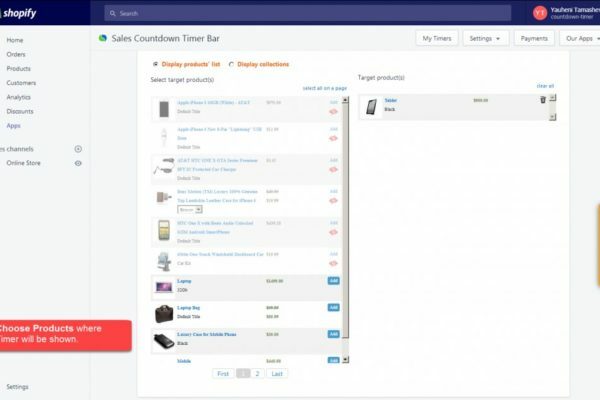 ﻿ ⏳ Shopify Countdown Timer Bar App. Make your discount more attractive! Make your discount more attractive. Pick Scheduled (from…to specific date) or Fixed-Length (months/days/hours) timer. 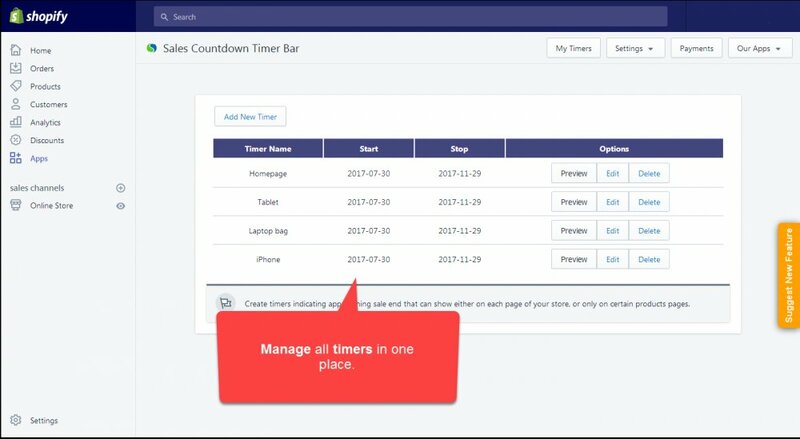 You can start the timer separately for each user and automatically restart the timer after the expiration date. 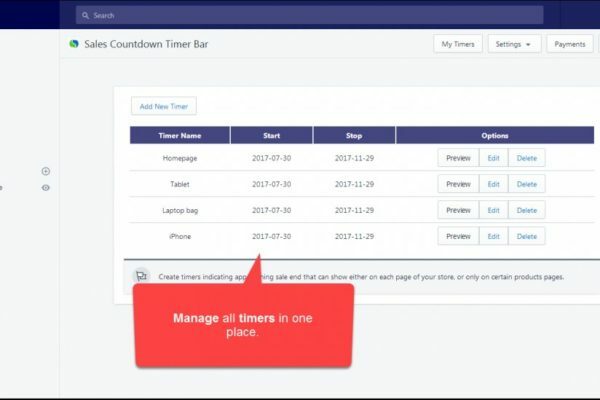 Configure the Timer bar’s design by modifying size or colour of backgrounds, buttons, font. 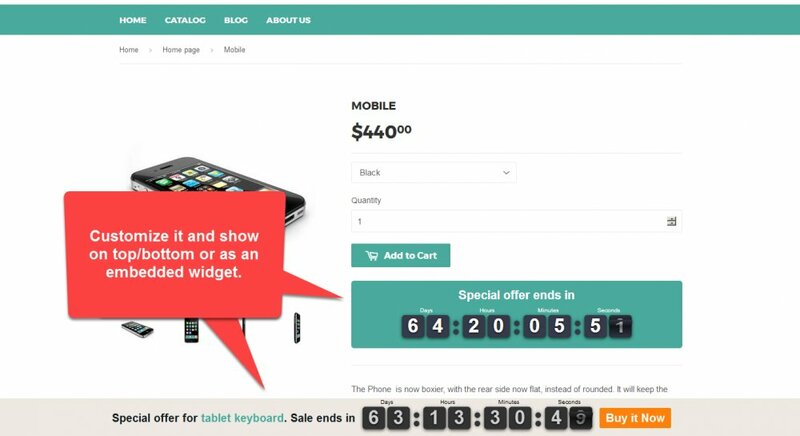 Move the clock around product page or place it as an embedded widget. 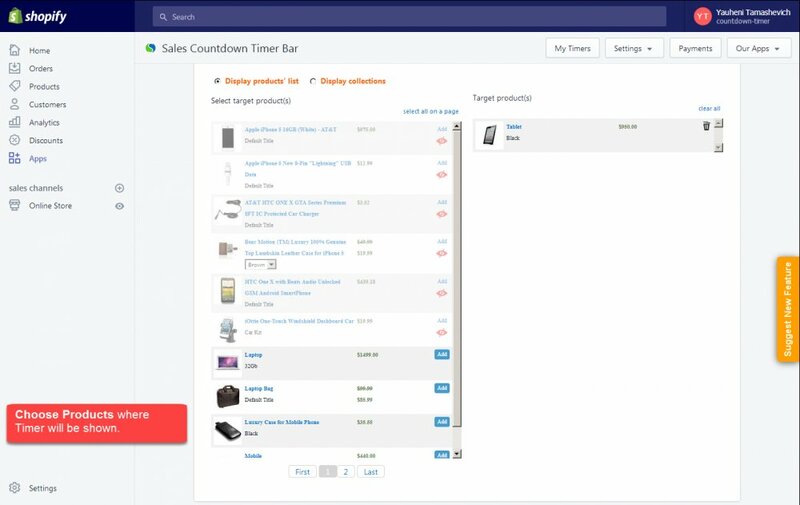 Customize the timer individually for products or collections, or customize the display on the main page. 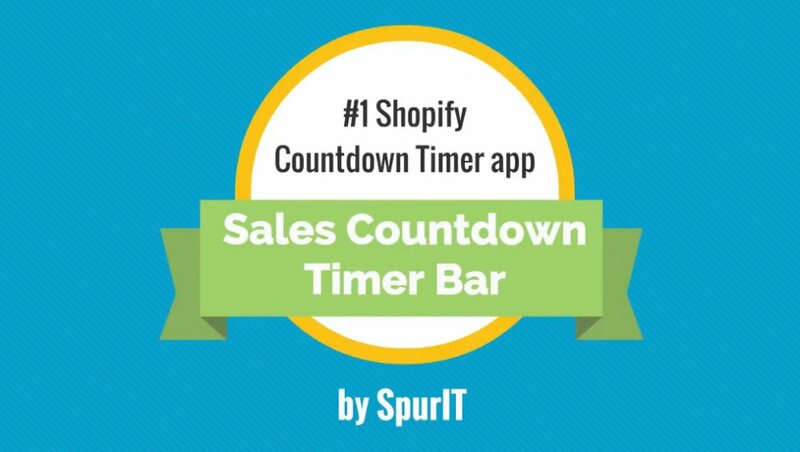 Combine the Countdown Timer Shopify app with any of your themes. In case you face a compatibility issue, our tech support will fix it for free. Get technical assistance for free: our tech support specialists are there for you 24 hours during weekdays. 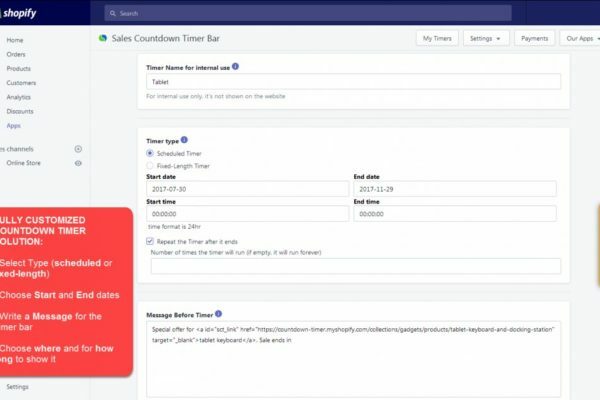 Whether you want to inform your customers on how much time they have left to purchase a product at a certain price, make your customer use a discount code before the sale’s end date, or let them know when the promotion is going to end at your online store, shopify sales countdown timer bar app is there to help you.This pageaday digital calendar is a powerful tool to make users excited about ordering a product before the discount coupon or a possibility to benefit from the free shipping expires. 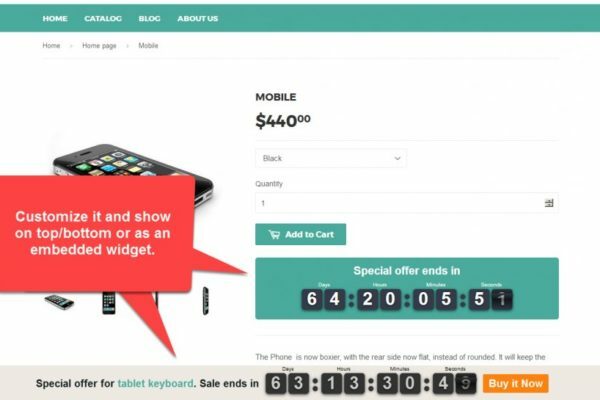 By choosing the Shopify timer, you are getting a highly functional application with a lightweight design, lots of customization options, easy-to-use configuration and many more features fostering your progress. The best and easy counter for my website. easy to use. This app is truly plug and play and works great. I have increased my sales by 25% using this. Very good! Nice timer and drives traffic to shop! This app is the perfect piece I needed for my store. I like it. A must for any website owner to enhance or increase sales. I recommend this app. 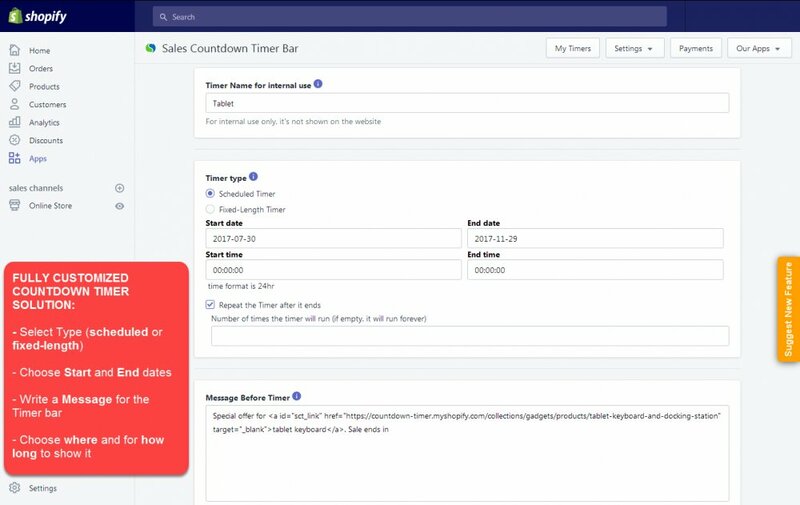 Try Sales Countdown Timer now! Need to customize your store or promote it?